When connecting Artica to a domain that have child domains, some ACLs or web-filtering rules are not applied. This caused because Artica is not able to find groups/users trough LDAP using the master Active Directory server. When using Childs domains, Artica must be connected directly to slaves Active Directory servers in order to find users and groups. With Artica v2.37 or above. Click on Alternate servers button. NT Domain is the domain ( workgroup ) defined in your secondary Active Directory server. Hostname is the hostname or the IP address of the sub-Active directory server. Active Directory suffix is the main LDAP branch of your remote Active Directory server ( use adsedit to retreive it ). 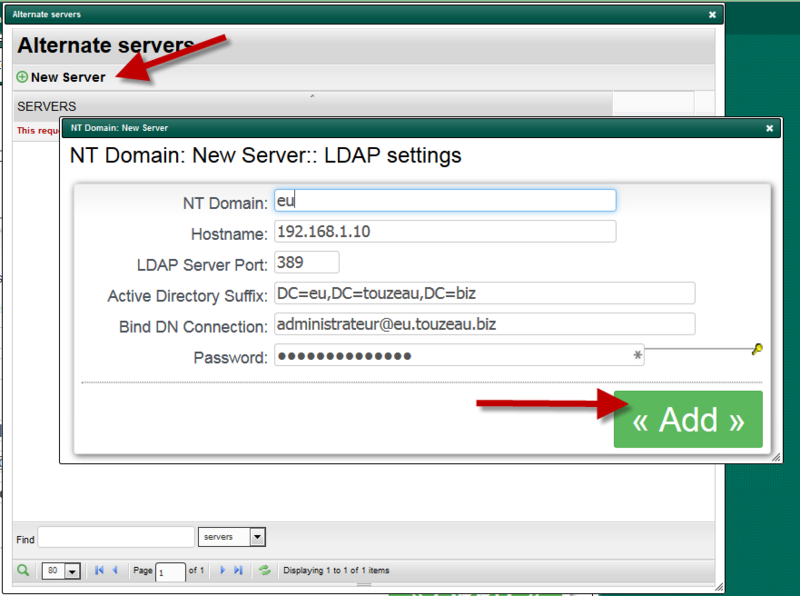 Bind DN connection and password are the credentials to parse the Active Directory LDAP database ( these informations are optional ). 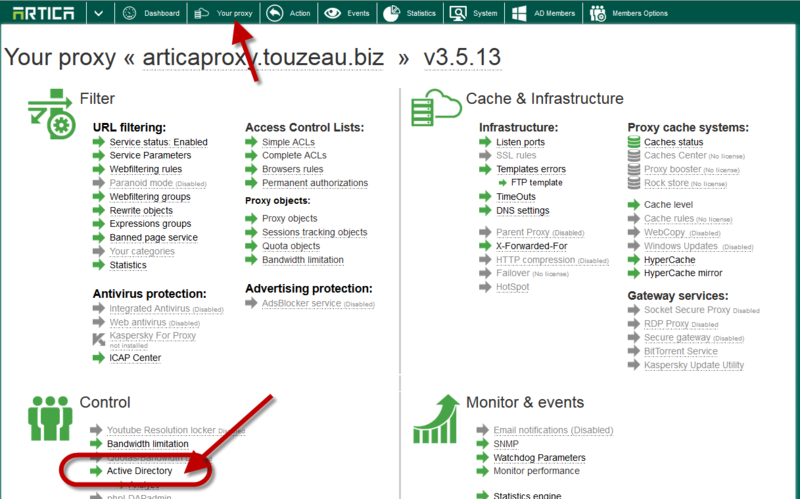 If not set, Artica will use credentials of the primary domain.